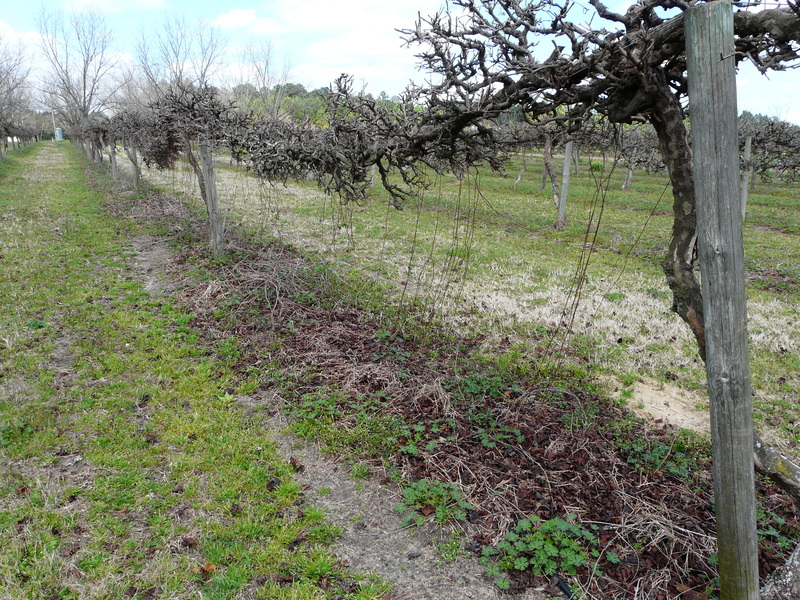 Here are some muscadine vines around Coolidge that are growing odd-looking branches originated from the stem. We’re used to seeing suckers grow from the main trunk, but this is something producers have never seen. These little branches started growing on vines both 20 and 25 years old. Some are also growing on younger vines only 4 years old (below). UGA Extension Fruit Scientist Dr. Erick Smith says this is something researchers have noticed quite often. 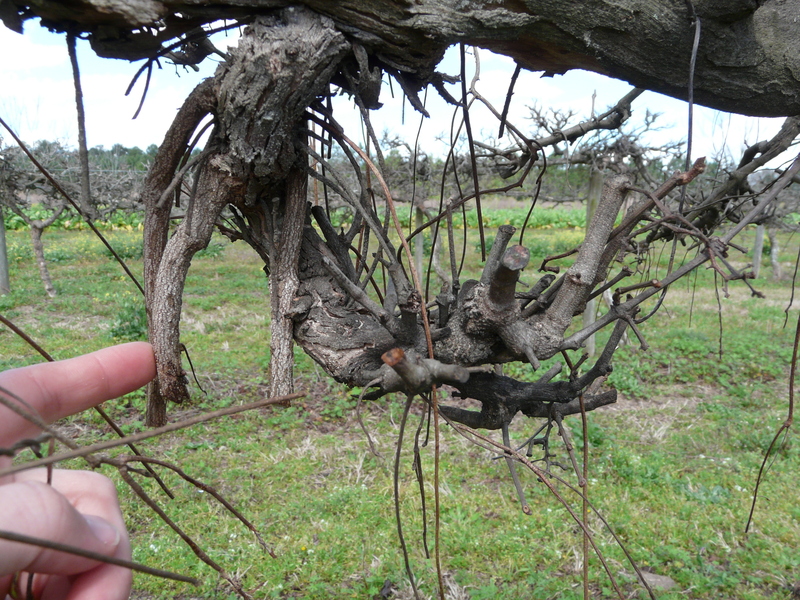 These are adventitious roots that grow when muscadines are planted in or experience cold weather. 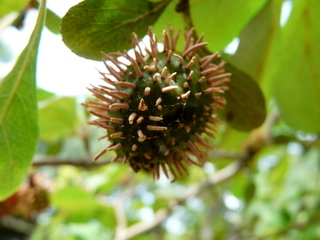 They have noticed adventitious roots are often produced under cold weather conditions. Dr. Smith says there is no known negative impact the adventitious roots have on the plants. It does not matter if you prune them out or leave them. Now is the time grape producers are completing pruning for the season. 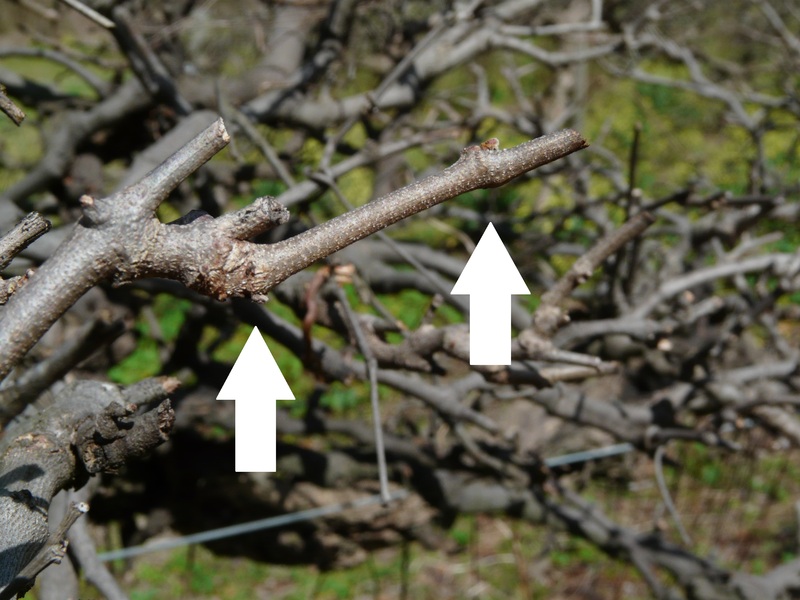 Mr. Donnie was showing me how you want to leave to “eyes” or buds on each “spur.” Since muscadine fruit are produced on new shoots from last year’s growth, prune back the canes that grew the previous year, leaving about 3 inches (or two buds) of growth to form spurs. 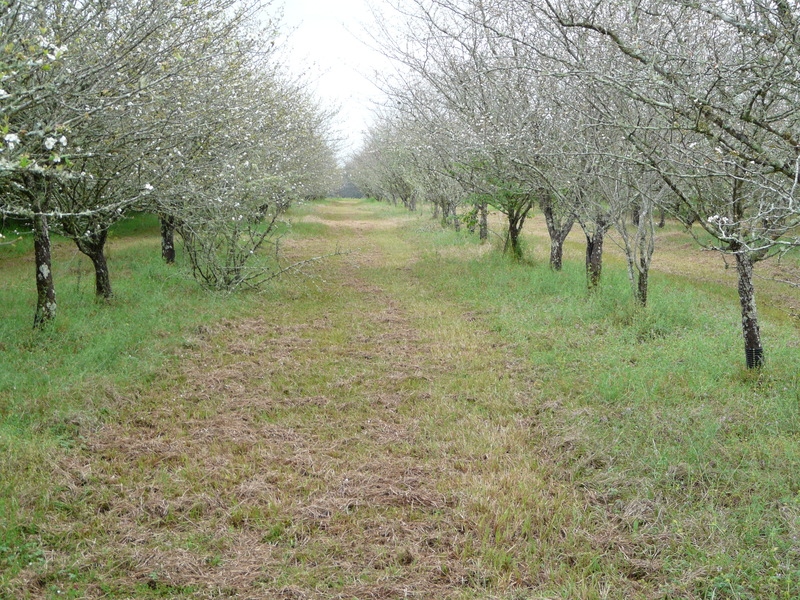 Prune in February or early March. 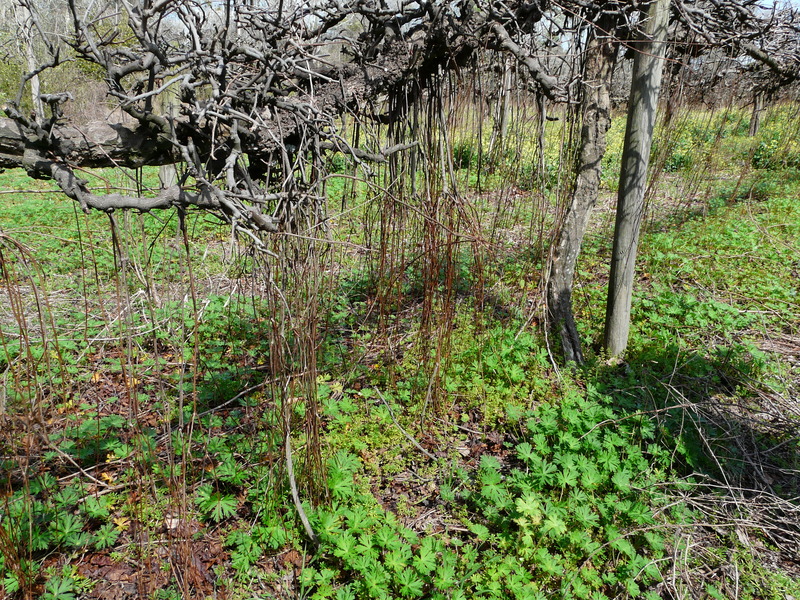 Don’t be alarmed if the vines “bleed” at pruning cuts. Bleeding does not harm the vines. 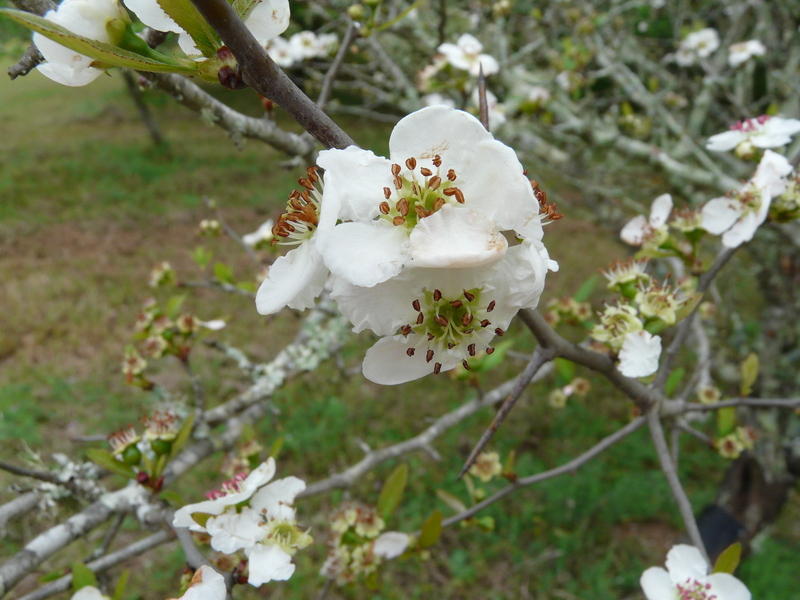 Here is a publication from UGA on Home Garden Muscadines.